One of the benefits of social media is the ability to connect with people from other parts of the world. And one of the benefits of traveling to other parts of the world is the chance to actually meet one of them in person. Meet Marco Jovan, an authentic artisan from Venice. 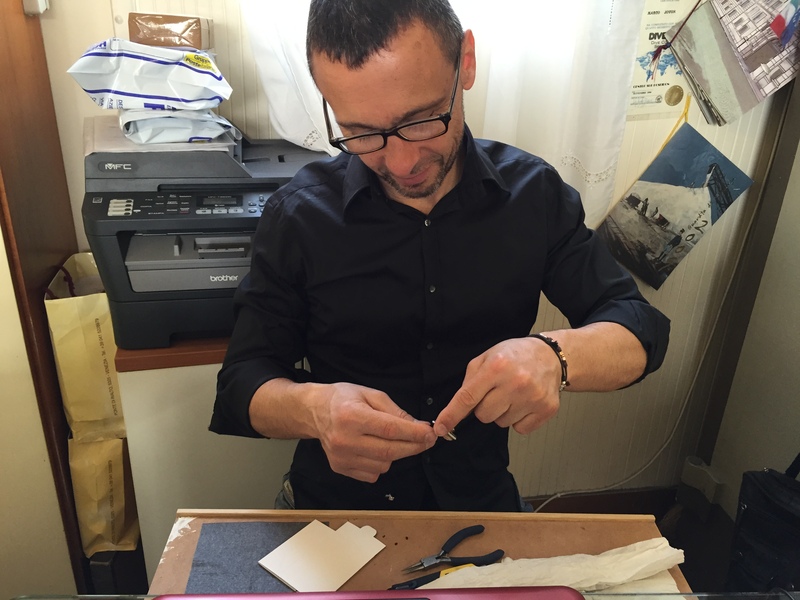 When I was in Venice recently, I was thrilled to finally meet Marco Jovon, a talented, enthusiastic Venetian artisan. He and his brother Alessio craft fine cameos by hand, following a tradition started more than eighty years ago by their grandfather, Luciano. “We can’t look at our future if we don’t understand our past and our roots”. 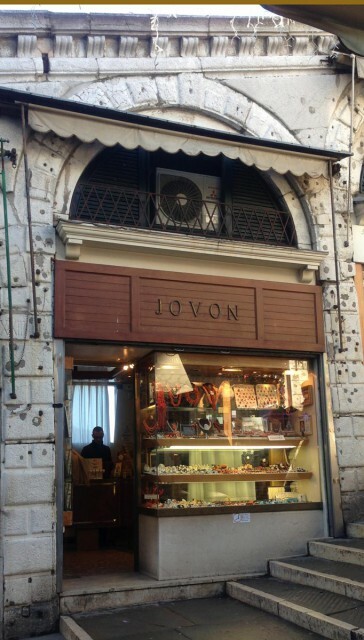 Their shop, Eredi Jovon, can be found on the famous Rialto Bridge, where it has existed since 1934. 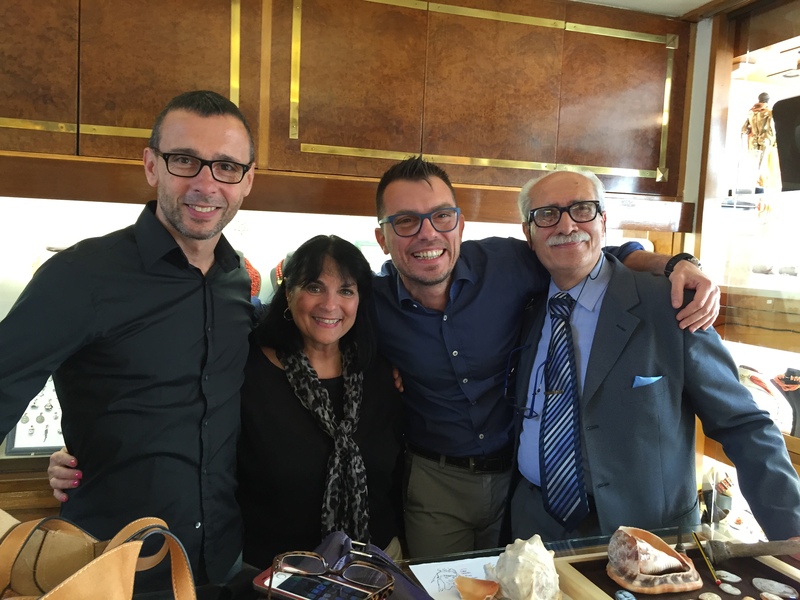 Marco’s father Bruno was the jeweler for many famous people including Pope John Paul XXIII and Ernest Hemingway. In addition to creating cameos and corals, Bruno was a master at watch repair, and Marco recounts this story of Hemingway’s Rolex. Apparently his watch was losing time, approximately twenty seconds each day, and Hemingway wanted the time to be precise. So Bruno opened the watch and repaired it so it would keep exact time. Born and raised in Venice, Marco speaks English much better than I speak Italian. 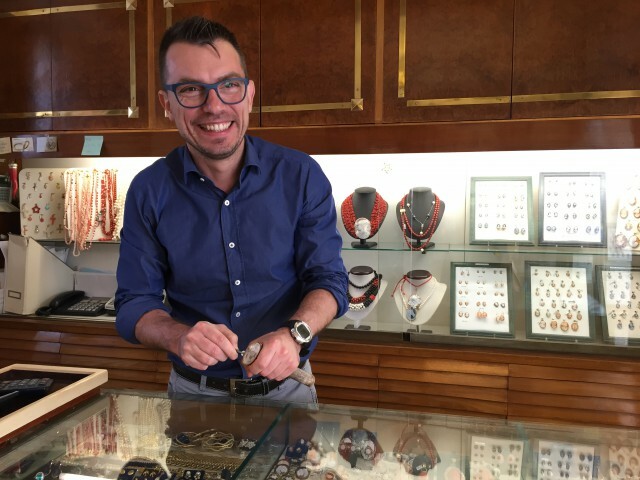 His educational background includes a Doctor in Economics degree from Ca’ Foscari University in Venice, but he also had to meet his father’s criteria in the jewelry business. In addition to his studies he had to be able to discern the difference between a real and a fake cameo. This was taught to him by his father. Marco’s expertise today is a result of his apprenticeship and years of experience working with his father in the Jovon family shop. Marco speaks lovingly of his talented father, who died in 1988. At that time Marco and his brother took over the business. Maintaining an important role is his mother Gabriella, who still sets all the coral jewelry today. 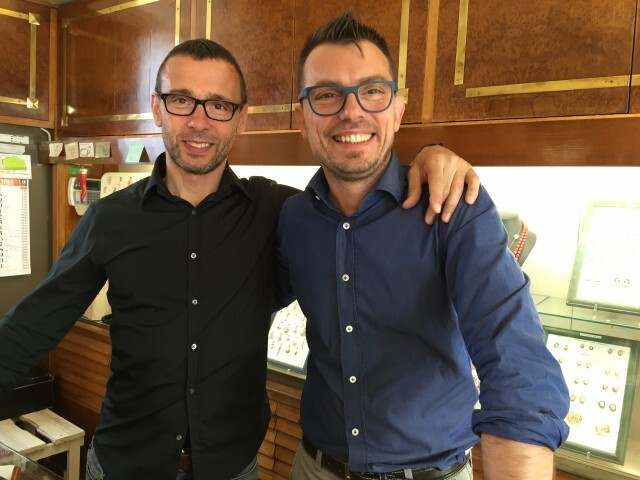 Gioielleria Eredi di Jovon sells authentic hand-crafted jewelry. 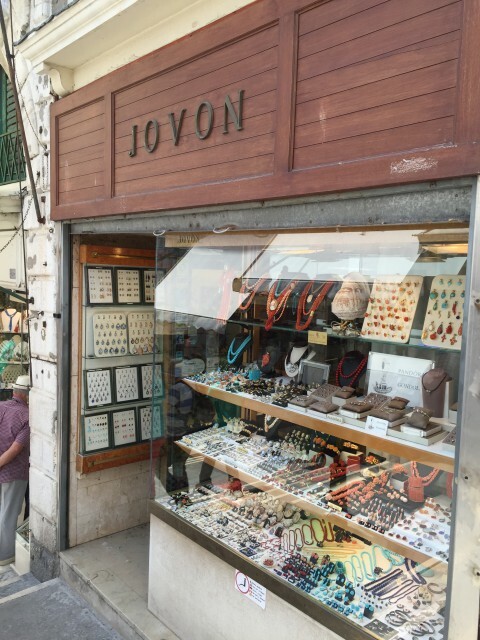 That is important to know, because many shops on the Rialto Bridge offer jewelry of inferior quality. Marco even posts an explanation for you to learn how to spot the difference between fake and authentic cameos. See my earlier post where I featured Marco’s cameo promotion and give-away. What Marco is most proud of are his specialty cameos on demand, or “portrait cameos customized.” Marco can create a custom portrait cameo made directly from your photos or digital files. 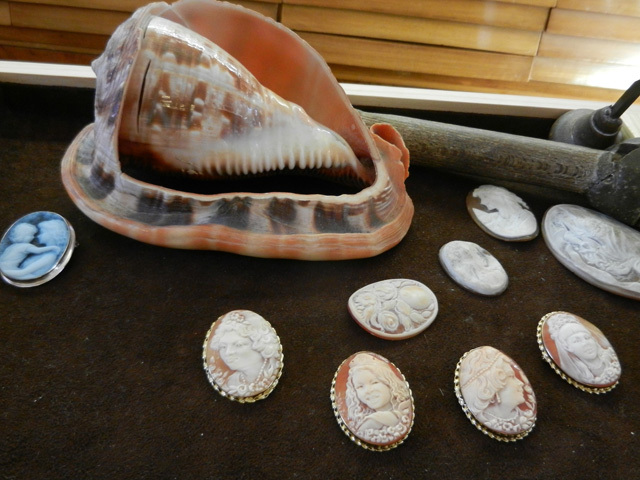 These one-of-a-kind cameos are made completely by hand and customized for the client. Marco begins with your photograph of a person or a pet. Then he creates a drawing from the photograph, and communicates by e-mail with the client. He sends a file of the sketch for the client’s approval. Marco wishes to be sure that he has every detail perfect, and modifies the sketch as needed after consulting with the client. Once it is approved he is ready to create the cameo. 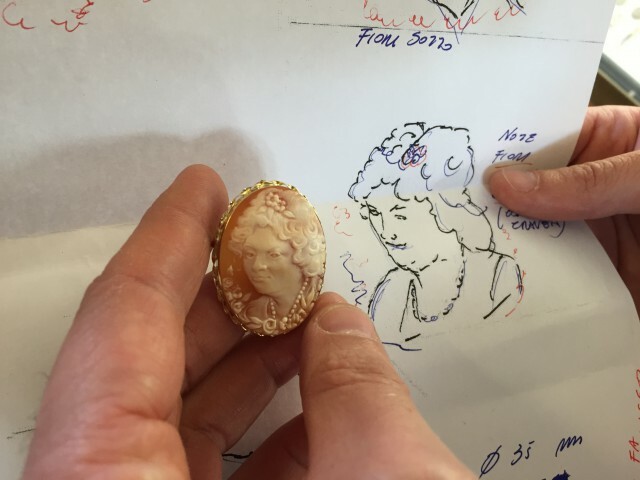 I was amazed at the detail in the finished custom cameo, truly a work of art made from the heart. An initial deposit of approximately 30% is all that is needed for Marco to begin work. He is sensitive to privacy issues regarding children and requires a signed agreement granting permission to use the photo to create the custom portrait cameo. Marco believes a cameo “calls” a client, stating that many of his customers end up buying the first one they see. Many of the non-customized cameos in Gioielleria Eredi di Jovon are beautiful and reasonably priced. The blue cameos are one of his best sellers. 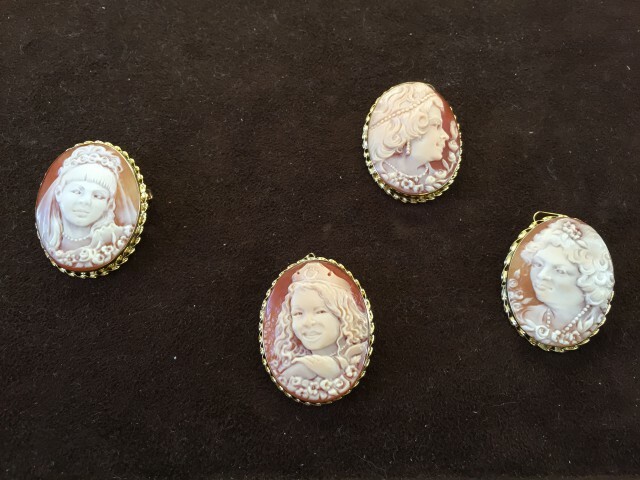 Some of these cameos are created from a pre-made design and require partial machine work but all the work is done by the Jovon family. Gioielleria Eredi di Jovon has something for everyone, in every price range. You can be assured you are not only buying quality, but taking home a piece of Venetian tradition that has endured for three generations. 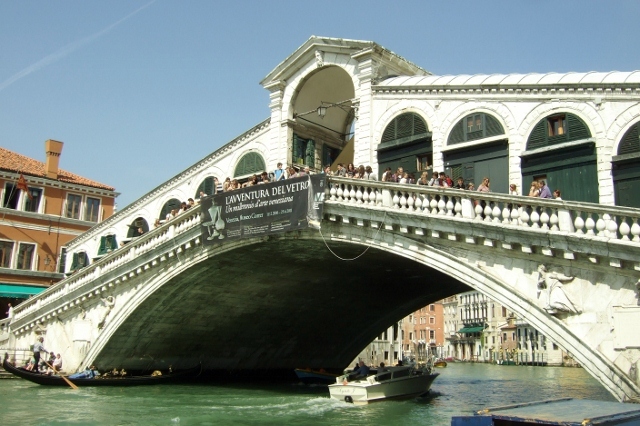 Be sure to stop by Marco’s shop on the Rialto Bridge during your next trip to Venice. Check out his website where you can see a selection of cameos and prices. Stay up-to-date with Marco by subscribing to his newsletter. Click here to subscribe. And if you think you may be in Venice for three days or more, you may want to stay in this beautifully appointed and updated apartment he rents in one of the best locations in Venice. Contact Marco directly at marco.jovon@gmail.com for details. See the apartment at Biennale Apartments. And please tell him Margie sent you. What a beautiful story. Although I’m not a jewelry kinda gal, I think a visit will be in order for some gifts. Thanks so much for commenting here. Yes these make wonderful gifts for sure! A very talented family, thanks for sharing Margie! Grazie, I feel honored to have met Marco and his family. 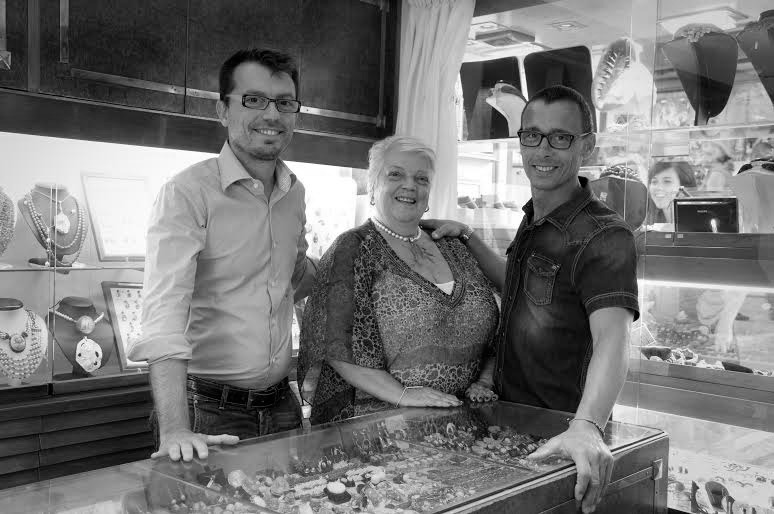 True artisans in Venice! I know the prices are in Euros but wow, they are very inexpensive! I am impressed at the work that goes into them for those prices. And they are so beautiful! Yes Bonnie, the prices of these beautiful cameos are very reasonable especially with the strong dollar today. Of course the custom cameos are much more, as you might expect. Really enjoyed reading about local artisans! Thank you so much Pamela. I love meeting the local people too and am always amazed at the pride they take in their crafts.